2016 is finally here, ladies and gentlemen! Last year, we saw several releases for fighting games, such as Mortal Kombat X, Skullgirls 2nd Encore, Dead or Alive 5 Last Round, Yatagarasu: Attack on Cataclysm, the PS4 port of Ultra Street Fighter IV, the arcade releases of Tekken 7, Blazblue Central Fiction, and Guilty Gear Xrd -REVELATOR-, Blazblue Chronophantasma EXTEND, the Steam release of Guilty Gear Xrd -SIGN-, and the North American release of Dengeki Bunko Fighting Climax. We also had DLC of existing fighters such as the appearances of Mewtwo, Roy (Fire Emblem), Ryu, Lucas, and Cloud in Super Smash Bros. for 3DS/Wii U (along with new and returning stages for both versions), Kombat Pack 1 (Tanya, Jason Voorhees, Predator, and Tremor) in Mortal Kombat X, the inclusion of Leo Whitefang, Elphelt, Sin Kiske in Guilty Gear Xrd -SIGN-, the Fireworks stage in Dead or Alive 5 Last Round, the second season of Killer Instinct, and more. And who can't forget about noticeable FGC moments such as Woshige's premature popoff in Guilty Gear Xrd at EVO, SonicFox defeating Perfect Legend 13-0 in a FT10 in Mortal Kombat X at Summer Jam 9, K-Brad channeling his inner Stone Cold Steve Austin in Ultimate Marvel vs. Capcom 3 at CEO, JC Akira winning DOA5 Last Round tournament with Akira in NEC16, the controller issues between Momochi and Gamerbee during Grand Finals in USF4 at EVO, and Daigo's pixel comeback in USF4 at Capcom Cup 2015 Finals. We had a good retrospective on 2015, but now it's time to look for the future for fighting games and the FGC. We have a good amount of fighting games that are coming out this year for consoles, PC, and arcades. One could say that we might be ushering in a new golden age of fighters. As Velociraptor mentioned, "Though not the biggest subdivision in gaming, the FGC is showing a real sense of community instead of competition." That will be mentioned when I get to Tekken 7: Fated Ambition in a moment. Without further ado, let's take a look at the fighting games coming out in 2016, the DLC content coming, and the tournament series that will take place this year. Back in late 2014, the FGC exploded when Capcom announced Street Fighter V exclusively for PlayStation 4 and PC. At first, I thought it wasn't gonna be possible due to Capcom's financial situation, but thanks to Sony's involvement, they made it a possibility. I know it pissed off the Xbox fanboys when the announcement hit, but to be fair: they will be fine. Last year, we witnessed the return of M. Bison (Dictator), Cammy, Vega (Claw), Zangief, Ken, and Dhalsim, all joining Ryu and Chun-Li. We also witnessed the epic return of four characters that we haven't seen since Street Fighter Alpha: Charlie Nash, Karin, Rainbow Mika, and Birdie. And finally, we witnessed the debuts of Necalli, Rashid, Laura (older sister of Sean of SF3), and F.A.N.G. In addition to the 16 characters, Capcom announced the first six DLC characters, which are Guile, Balrog, Juri, Ibuki, Alex, and Urien. All of them are coming out this year right after the game comes out. 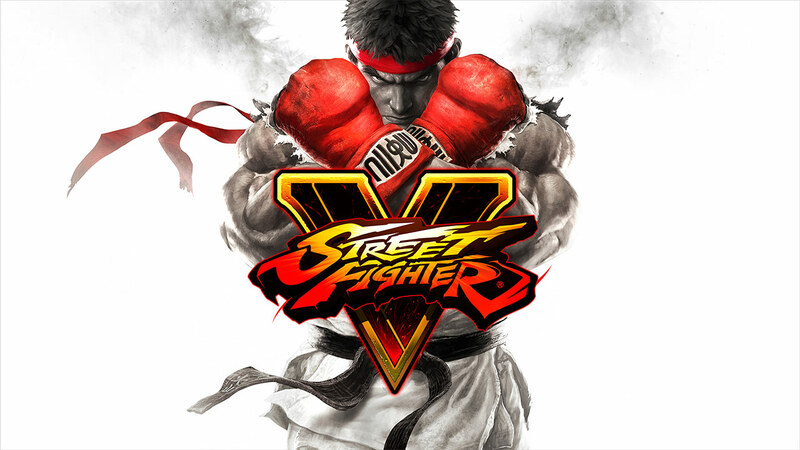 Capcom let all the players try out the beta version of Street Fighter V before the game comes out, offline and online. We had a chance at playing all the characters and getting used to the new mechanics. Hell, I played all three beta days of the game and I enjoyed using Chun-Li and Laura. I like what I see so far, and I feel that it can keep the fire going that Street Fighter IV left for this game. Oh yeah I forgot: Capcom Pro Tour 2016 is going to begin, starting with Final Round 19 in March. Of course, the game will let you know what tournament is coming up, so if you are interested, join in on the fun! Will it be at EVO? : Duh! Street Fighter is the backbone of the FGC, why wouldn't it be? Of course it will be at EVO! It'll be the first thing to be announced by Mr. Wizard. This one caught me and everyone else by surprise. Last month, we got a teaser trailer and it pretty much worried everyone because the game using 3D graphics. The first thing that everyone came to mind was the fact that SNK has a terrible record with transitioning 2D gameplay into 3D gameplay for their fighters, like KOF Maximum Impact, Samurai Shodown 64 and Sen, etc. No, that was not the case. KOF14 transitioned to 2.5D gameplay, meaning that it is 2D gameplay with 3D graphics. The gameplay feels similar to KOF13, only with some changes. For starters, they added the auto combos called Rush Combos, which is good for beginners. Just Defend from Garou: Mark of the Wolves make a return to KOF14. Blowback attacks can now cause wall bounces, which can work well in terms of juggling combos. Not much was said about the gameplay, but we'll see in the future. In terms of characters, we are supposedly getting 50 characters, which is the biggest roster in KOF history. So far, the characters that are confirmed for this game are Andy Bogard, Kyo Kusanagi, Iori Yagami, Chang Koehan, Leona Heidern, Kula Diamond, King, Billy Kane, Angel, and Ralf Jones. And the best part about it is that for the first time ever, online mode will have a Party Battle mode, in which it allows 6 player 3v3 teams. Honestly, I can't wait to get my hands on KOF14. Also, this game is exclusively for PlayStation 4 much like Street Fighter V. It's safe to say that PlayStation 4 is the go-to console for fighting games. Will it be at EVO? : We don't know the release date for KOF14 yet. Besides, the game is only 70% complete based on what I know so far. Until a release date is set, then we will know. For now, I'm gonna be quiet about it. Guilty Gear Xrd -SIGN- brought back life for the GG community, from appearing in tournaments, to gaining new players. Hell, the game made it to EVO and it caused a noticeable moment in Top 8, which was Woshige's premature celebration. 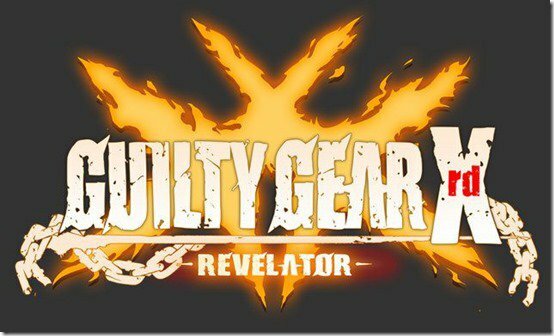 However, Arc System Works announced the follow-up sequel, -REVELATOR- sometime back in 2015, right after EVO as a matter of fact. The game came out with major balance changes, some new stages, and a couple new characters. Returning from past GG games are Jam Kuradoberi, Johnny, Jack-O Valentine (new character), and Dizzy (who won due to fan votes, beating Bridget and Baiken). Will it be at EVO? : The game comes out this spring, so it's most likely gonna be at EVO. We all know that Tekken 7 came out for arcades last year, and it left a major impression on the gameplay. Gone were the traditional bounds of Tekken 6 and Tekken Tag Tournament 2, and the gameplay feels somewhat similar to Tekken 5: Dark Resurrection. 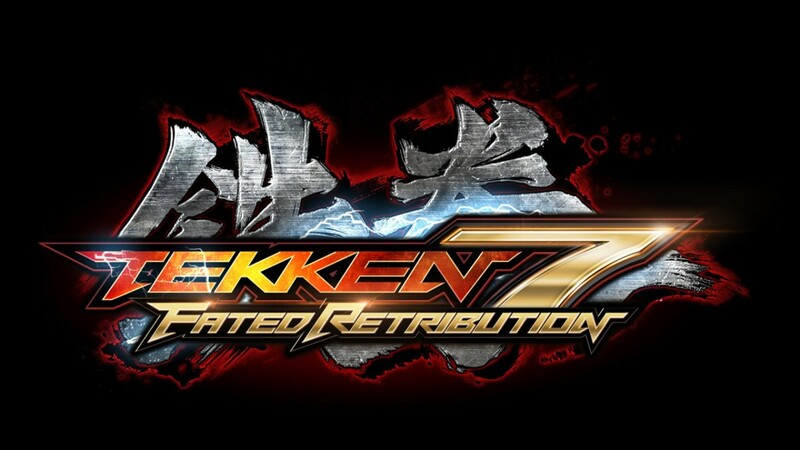 After The King of the Iron Fist Tournament 2015 came to a close, we witnessed a trailer for Tekken 7: Fated Retribution. The first thing that blew the internet up was the fact that Akuma from Street Fighter joins the cast as a playable character. And the best part about it is this: IT IS CANON TO THE TEKKEN STORYLINE! Yes, you heard it right: Akuma is part of the Tekken storyline. While we don't know the full story behind Tekken 7, we can expect a lot of great things coming from it since it is the conclusion of the Mishima storyline. As for gameplay, Akuma transferred into the Tekken gameplay very well. The only thing that Street Fighter players need to realize is that they are not dealing with combo links, but instead of combo strings. Also, all the characters received a graphical update, rebalanced gameplay, and more new stages. In terms of customization, Tekken 7: Fated Ambition took a page from Virtua Fighter 5 R/Final Showdown by including custom pre-fight intros based on equipped items. Will it be at EVO? : We don't know if Tekken 7 will have a proper release date for consoles, but I'm pretty sure that the arcade version will be used like the previous version. Only time will tell. 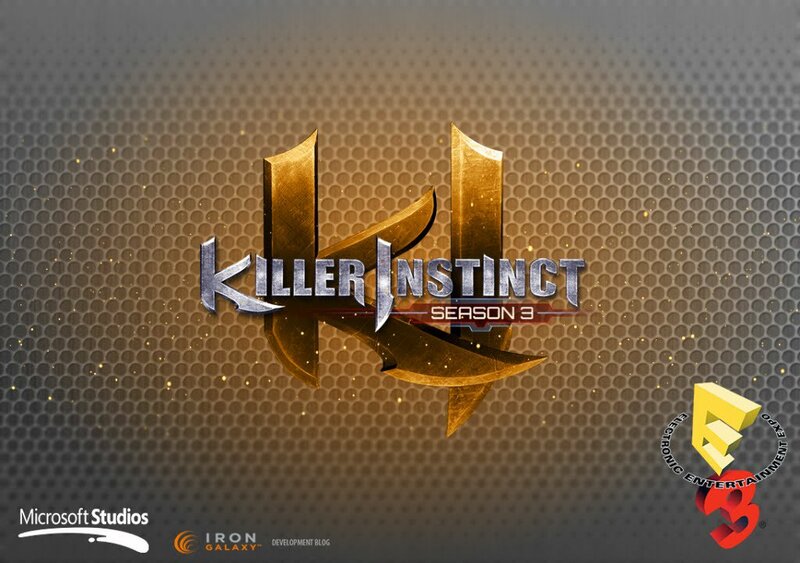 Killer Instinct Season 3 was announced last year and it is coming to Xbox One and PC in March, complete with cross-play. We got a preview of one of the characters, which was Rash from Battletoads. Keep in mind that the character is not fully done, so what we saw from the preview will be changed from the time the game comes out. Also coming in the game are Kim Wu and Tusk, both returning from Killer Instinct 2. And as usual, we will get new gameplay changes, more characters, and new stages. Not much to say there. However, I do want to say that the Killer Instinct World Cup is coming up this month, January 30-31, 2016. $30,000 up for grabs and 32 players will be competing for it. Will it be at EVO? : Most likely. 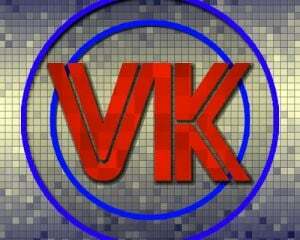 The KI community has done a great job supporting their scene, so we will see it again. DLC coming out this year: We got new fighters releasing in 2016, but it wouldn't be right if we didn't talk about the DLC that's coming out for some of last year's games. Let's start with Smash Bros. If you remember last month, Smash 4 will be getting Corrin from the upcoming Fire Emblem Fates and Bayonetta next month. In case anyone forgot, Bayonetta was the most-voted character in the Smash Ballot. Also, can't forget about the Kombat Pack 2 for Mortal Kombat X. We are getting Leatherface, Bo Rai Cho, Tri-Borg, and Alien sometime soon in 2016. That's gonna be very interesting when Mortal Kombat X returns to EVO this year. I know there's more coming this year, but that's about it for this blog. I must say, 2016 is looking really good for fighting games and the fighting game community as a whole. Let's bring the hype and mark a legacy that we will never forget. I'll see you guys on the next blog. Filed under... #Fighting Games #Guilty Gear #Mortal Kombat #Promoted stories #Street Fighter #Super Smash Bros.